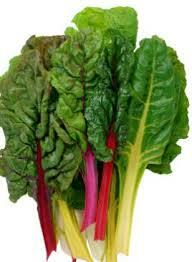 Chard stems and leaves can be treated as two separate vegetables. The stems can be treated like celery and generally need to be cooked longer. 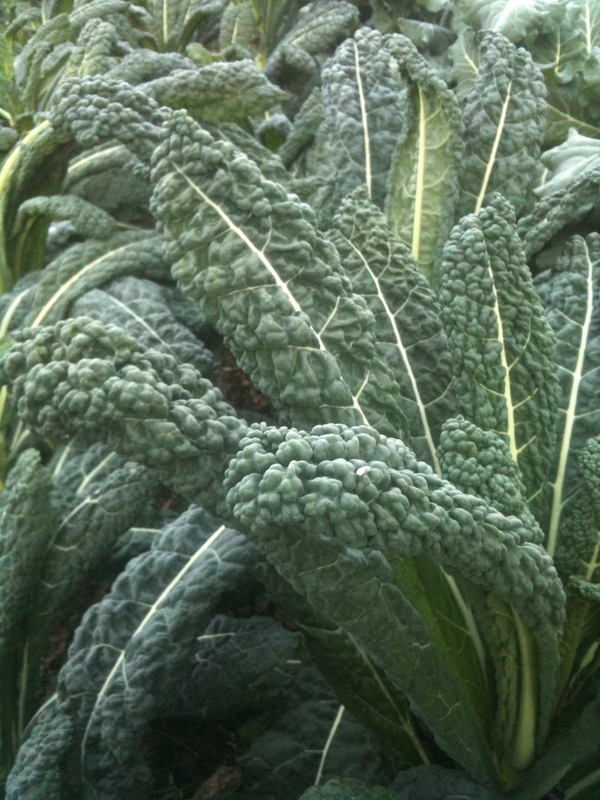 Leaves can be versatile; doing well as a quick sauté, added to soups, savory tarts or braised. Using a knife or your hands, remove the leaf from the stem and cut separately. Swiss chard can be stored in a plastic bag or airtight container. Native to southern Europe, spearmint can be found growing around the world and has been incorporated into many cuisines. For those who enjoy summer drinks, spearmint will go well with lemonade, mint juleps and mojitos. 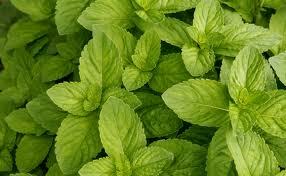 Spearmint is the variety most widely used in cooking and provides the base for mint jelly. The garlic scapes need to be stored in a plastic bag in the refrigerator and are best used fresh since they do not store like whole garlic bulbs. The entire scape is edible, but there can be a tough section at the base of the yellowish-white blossom that can use more cooking time. The green stems are most commonly cut into small pieces and cooked. Scapes are a great addition to breakfast scrambles and stir fries. The trick to storing salad greens is to place them in a container (or plastic bag) with a paper towel in the crisper drawer of the refrigerator. 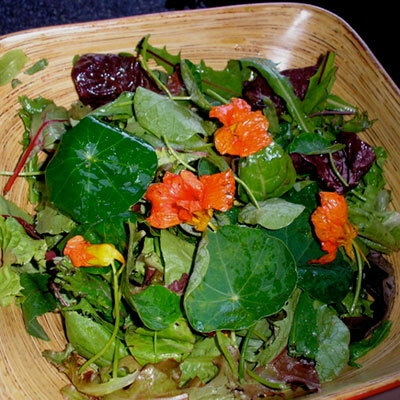 You can wash and spin dry the salad mix first for easy use. Change the paper towel regularly if needed. 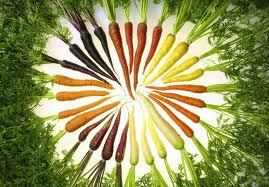 In addition to traditional salads, greens can be roasted, used as a topping for pizza, or added to green smoothies! 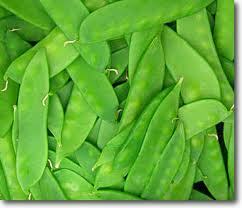 Snow peas are flat, pale green pods with barely formed peas. These tender peas can be eaten whole, and are delicious fresh, steamed, sautéed, or added to stir fries. Peas are best used fresh but if you need to store them, put them in a plastic bag in the refrigerator. If you would like to put up peas for freezing, they will need to be blanched in boiling salted water for 30 seconds and then chilled in an ice bath before freezing. 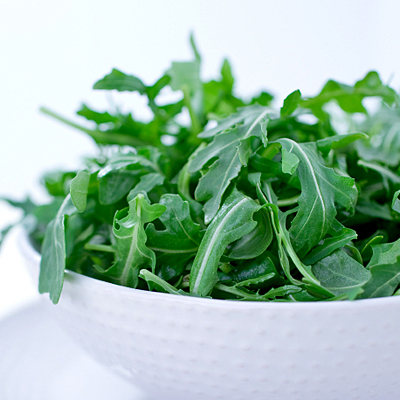 Arugula tends to be gritty, so rinse the leaves thoroughly. The greens can be stirred into pasta and scattered on pizza. Arugula is at its best in salads: Drizzle it with extra-virgin olive oil and lemon juice and top with shaved Parmesan, salt, and pepper. If the roots are still intact, wrap the stems in a moistened paper towel and place in a plastic bag in the most humid area of the refrigerator (usually the vegetable drawer). Keep loose leaves in a plastic bag. This is a variation of a more complex recipe involving cousa, which is a pickled zucchini, we use chard leaves instead. Combine rice , ground lamb, salt, pepper and garlic in a bowl. Flatten chard leaves with a rolling pin to break the stem. Add 1/4 cup rice/meat mixture onto leaf. Roll from top of leaf to bottom, trim excess stem. Stack into an oiled baking dish. 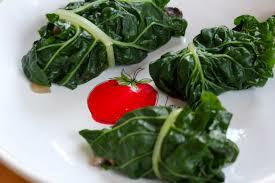 Mix mint in with tomato sauce, pour over chard rolls. Bake at 400 degrees for 1 hour, add water, bake another hour or until rice is thoroughly cooked. Melt butter in a skillet over medium heat; cook and stir garlic until fragrant, about 30 seconds. 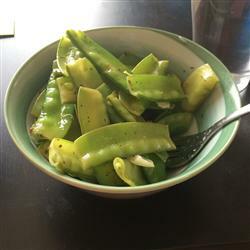 Stir in Italian seasoning and snow peas. Add water; cook and stir until peas are bright green and tender, about 2 minutes. Stir in olive oil and lemon juice. Season with salt and black pepper.